This book will help you to teach your child about food allergies. It also lets them know that even with a severe allergy they can still have fun. This fish allergy kids book will help you teach your child about the importance of letting people know about their allergy to fish. 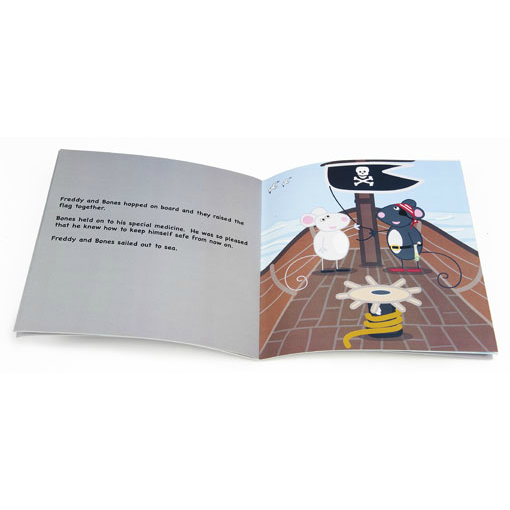 It will also help them understand that some of their classmates might be feeling a bit like Bones the Pirate, sad about having allergies and it will make them think about trying to cheer up their classmates. It will addresses the topic of severe fish allergy in a clear and endearing way that young children are drawn to. 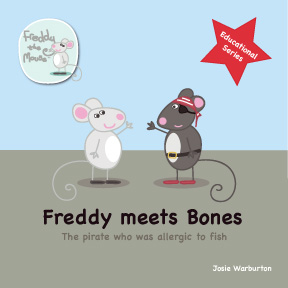 ‘Freddy the Mouse’,although not allergic himself, meets Bones the pirate, sad and alone on a beach. Bones has a severe fish allergy and thinks he cannot have fun at sea anymore. Along with the help of the Mermaid Doctor, Freddy shows Bones how to keep safe, and still have so much fun! A beautifully illustrated book for children. Freddy Meets Bones is for kids up to about the age of 6. 1 review for Freddy meets Bones: the fish allergic pirate! Such a great little story, my nearly 4 year old loved it. A very nice way to explain allergies to children. 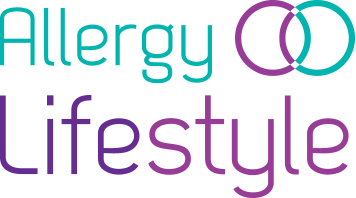 It has really helped to make him understand his allergy and allowed us chat easily about it. Exactly what I was hoping for.